Powering a hydraulic system while protecting the pipes and joints does not have to mean sacrificing speed. Not only is there the initial hurdle of safely powering motors and other electrically powered elements while protecting them from moisture damage, but also there is further concern about gaining the fine starting, stopping, and overall control necessary to power systems without an excess of wiring, hoses, and other bulky components. Generate more precise control with the new Compact Motor Starter P 4.0 from TELE. Get improved control over your plant’s systems and protect against the damages of water hammer with this compact soft start/soft stop motor. This soft start motor combines the benefits of multiple hydraulic control systems in one compact housing to reduce space without sacrificing function. 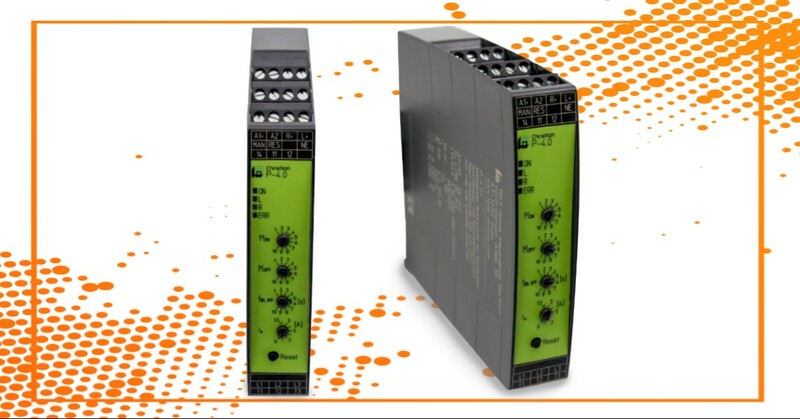 This power system’s 22.5mm-thin width helps to reduce the space needed for cabling and materials in control cabinets and industrial plants. And, with a combination of soft starter, reversing unit, 3-pole shutdown, and complete motor thermal protection, the Compact Motor Starter P 4.0 provides a wealth of control without impeding on space needs. TELE’s Compact Motor Start P 4.0 provides the control you need to prevent water from hammering the pipes and causing increased speed of wear. While slim, the Contact Motor Start P 4.0 provides the power and control to operate the start and stop of pipe systems. The soft start and soft stop allow for a system that won’t simply dump water pressure all at once but allow its release in a controlled way that avoids a pressure peak. This is essential for systems that rely on flexible tubes connected to the main pipe via snap-in fittings or couplings. With the control provided by the Compact Motor Start P 4.0, water pressure is initiated in a controlled manner, which helps to prolong the lifespan of pipes, couplings, and fittings — get more operating time from your system when it is not being hit by a powerful flow of water at every startup. Instead, a soft start does not expose pipes to strong water pressure immediately during the startup process; it increases the pressure in a controlled manner, helping your system to stay in good condition longer. Soft stop capability further helps to protect your system. When stopping the pump, reverse pressure means that check valves will not immediately shut down. Soft stop control helps the system to shut down moderately quickly. More importantly, it prevents a hammering effect and increases the life-span of the valves. Take better control and extend the life of your system with better-functioning engineering materials. Fortunately, with the help of TELE’s capable design, you can get the control you need without excess bulk. The Compact Motor Starter P 4.0 gives you control over soft starts and soft stops in a slim design that does not overwhelm a control cabinet. Connect with Dynamic Measurement and Control Solutions, LLC. of Northern California to learn more. ©2017 DMCS® - All rights reserved.